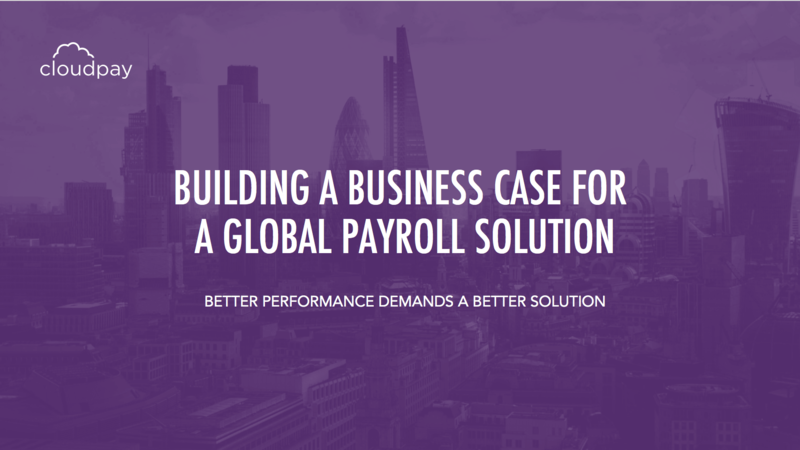 Learn how to build a benefits-driven business case for a change in global payroll. Among multinational companies of all sizes, payroll and HR team members increasingly recognize the value and benefits that can be realized from utilizing a unified global payroll solution. As many payroll managers, HR directors, and IT leaders already know, an investment in global, scalable end-to-end payroll software can help organizations increase efficiency and productivity, reduce their operating costs, and earn higher quality data. But no matter their job titles or level of seniority, payroll and HR team members have bosses to answer to – and they typically require a lot of convincing. When considering any enterprise technology switch, C-suite executives often find it difficult to see beyond the upfront costs of change management and implementation to the long-term benefits of a new solution... and nowhere is that more true than in payroll. That’s why it’s crucial for payroll teams to advocate for the kind of organization-wide improvement that a change in payroll can create. And the only way to advocate effectively (and persuasively) for a permanent change in global payroll is to craft a compelling business case for the long-term benefits of a software switch. 3. Exposing the benefits and value of a move to the cloud. Readers will also learn how a new global payroll solution can go beyond benchmarking to support their enterprise-wide business goals and expansion plans in a more strategic way. How much does your current system really cost? What are your needs and goals in global payroll? Where can a new solution inject value and drive ROI?